Max Henderson grew up in Mesa, Arizona, where he discovered his love for clay in his high school beginning ceramics course when he was 15. 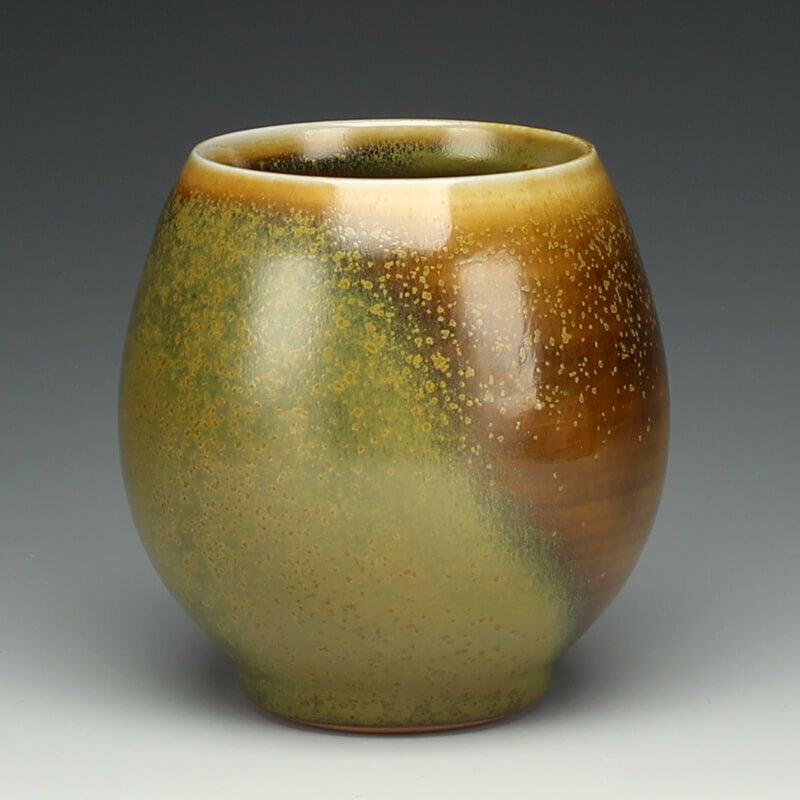 He furthered his involvement in clay by volunteering at the Mesa Arts Center for a couple of years, where he was exposed to the world of ceramics and the wonderful community that comes with it. Max continued his pursuit by attending Arizona State University to receive his BFA in Ceramics. This choice has resulted in an informative position as the studio technician for the ASU ceramic studio, along with great experiences, such a playing a role in the construction and firing of a large Anagama wood kiln. Max currently finds himself looking at his last year of undergraduate schooling at ASU. I am fascinated by the beauty and surface depth an introduction of soda ash into a kiln’s atmosphere produces. Permanent marks and blushes are created by the fire as it rolls through the kiln. Along with the unpredictably beautiful glaze subtleties and surface qualities the soda produces, these markings tell a story about the atmosphere in the kiln and the placement of the pots. The functional pots I create are intended for use and presentation, as its duality of utilitarian and aesthetic qualities generate conversations and contemplation with those we surround ourselves with. However, it is also imperative that these pots possess qualities that beautifully contribute to its surrounding space—even when not in use.